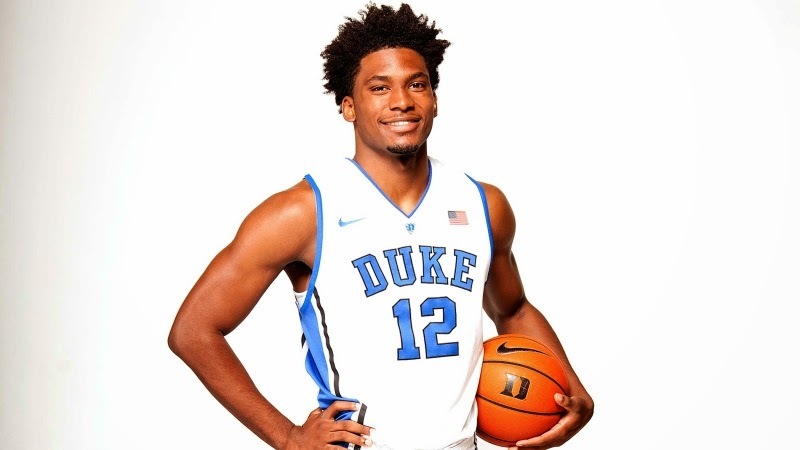 DURHAM, N.C. – Duke freshman Justise Winslow will enter the 2015 NBA Draft, head coach Mike Krzyzewski announced Tuesday. Winslow, an All-Final Four team selection, joins Corey Maggette (1999), Luol Deng (2004), Kyrie Irving (2011), Austin Rivers (2012), Jabari Parker (2014) and teammate Jahlil Okafor (2015) as Blue Devil freshmen to enter the NBA Draft after just one season of college basketball. Winslow, the third-highest freshman scorer in the ACC this season, averaged 12.5 points per game on 48.6 percent shooting from the field. In 31 of his 39 appearances, Winslow scored 10-or-more points, the second most double-digit scoring games by a freshman in the ACC this year, behind only Okafor (35). Winslow’s 31 double-digit scoring games ranks tied for third on Duke’s freshman list, while his 492 total points tied with Jason Williams for eighth on the Duke rookie chart. Winslow also averaged 6.5 rebounds per game, second most by a freshman in the conference. He became just the second player 6-6 or under for Krzyzewski to average at least 6.0 rebounds per game, joining Chris Carrawell (6.1 rpg. In 1999-00). Winslow posted seven double-doubles during the 2014-15 season, including three-straight double-doubles in games against Virginia, Georgia Tech and Notre Dame. Winslow was recognized for his athletic prowess by being named to the All-ACC Freshman Team and the USBWA All-District III Team. Winslow helped the Blue Devils earn their fifth national title, serving as a reliable scorer and rebounder throughout the team’s NCAA Tournament run. Over the six-game span, the Houston, Texas, native averaged 14.3 points and 9.3 rebounds per contest. He scored on an efficient 50.9 percent shooting from the field, while converting 8-of-14 (.571) three-point field goal attempts. Although in foul trouble during the national championship game against Wisconsin, Winslow contributed 11 points and brought down nine rebounds in 32 minutes of action. Earlier in the tournament, Winslow scored 13 points, registered 12 rebounds and added five assists, four steals and three blocks to help Duke bypass San Diego State. Winslow became just the second player in Duke history to record a double-double and add five assists and at least three blocks and three steals in an NCAA Tournament game. Duke has produced a first round selection in the NBA Draft in each of the past four years. 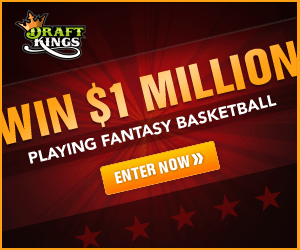 Krzyzewski has mentored 28 first round picks, including 18 lottery selections. The 2015 NBA Draft will take place Thursday, June 25 in New York City.